Create a unique Local Map Wallpaper design with our OS Custom Map Wallpaper. 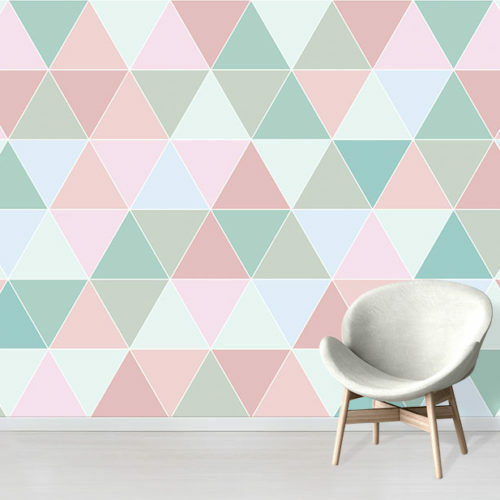 Perfect for a focal wall. We will send you a proof before printing. Quick turnaround with Free UK Delivery. Our Custom Street Map Wallpaper is a unique choice. 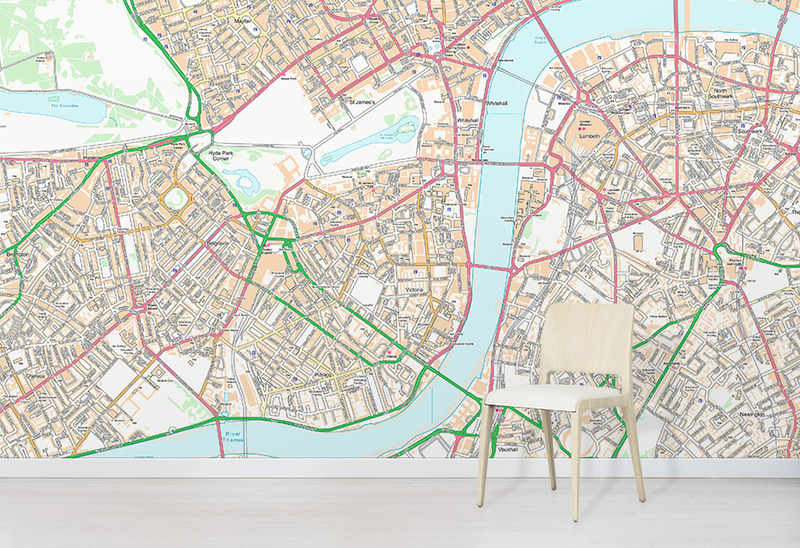 Choose to map your local area to create a stunning wallpaper. Additionally, the design shows clear street and road names. Therefore this helps to visualise the geographical area around you. 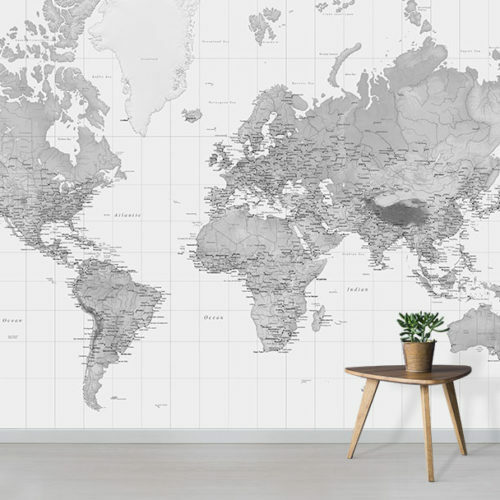 A bespoke map feature wall provides a conversational element to your home decor. 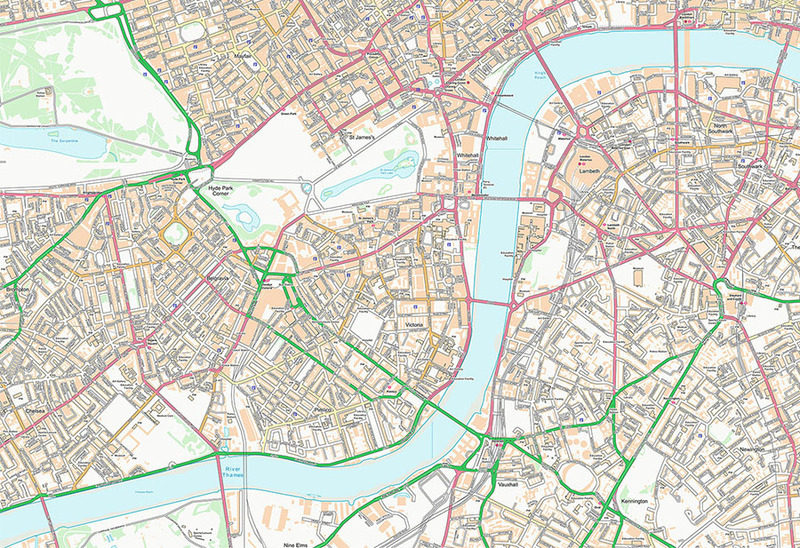 We use Ordnance Survey mapping data to create this map design. 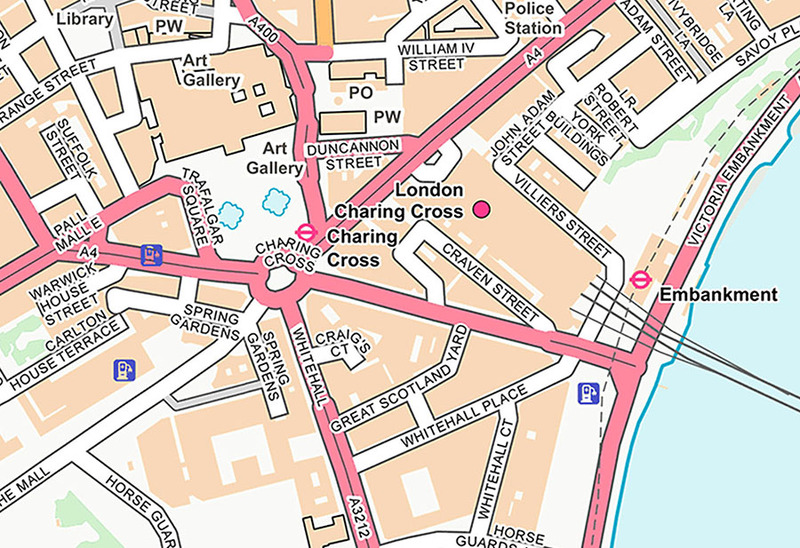 Choose anywhere in Britain for your customised wallpaper map – just tell us the postcode or area name and we can send you a proof of your map before printing. Want more inspiration? Check out examples of Custom Map Wallpaper we have created for previous customers.